Etch Glass vinyl also known as Window Frosting Film can be used on internal glass or external glazing. 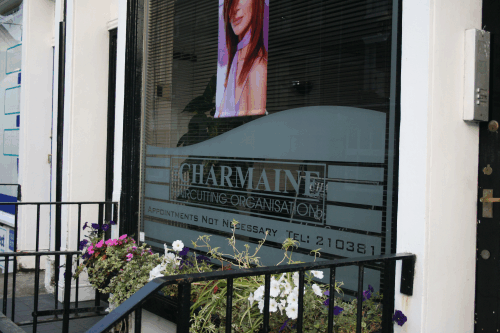 Sign Trade Supplies stocks the Image Perfect range of window frosting, which come in a variety of different options. Opal Frost Vinyl, Silver Frost Vinyl & Satin Crystal HD vinyl. The window frosting comes in different widths including 610 mm , 1220 mm and 1600 mm. The Image Perfect range of window frosting includes some unique product options. We supply removable window frosting and also air flow (bubble free) window frosting which makes installation faster whilst cutting the risk of wrinkling the vinyl. Etch glass vinyl is used to create a sand blasted / frosted glass effect that is very popular in the interior fit out sector. It is used extensively in the restaurant and café business as it lets light into the premises whilst keeping clients privacy. Frosted etch glass film is also used for window and door manifestation. Small dots or markers are applied to the large glass surfaces in offices and public places to ensure people do not walk into the solid glass panes.